When I first arrived in Suriname, I had little knowledge about the small, slow, incredible creatures I would soon grow to love. 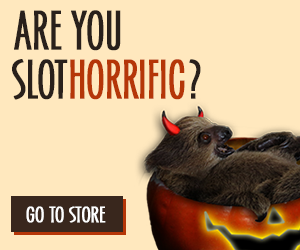 In the United States, sloths are internet sensations. Due to their specialized lifestyle and fragile nature, sloths, particularly three-fingered species, are not common zoo animals. 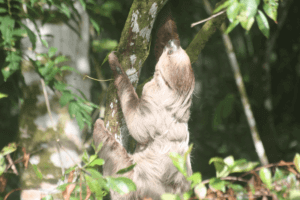 So, the only real exposure to these animals comes from internet videos, which typically only emphasize how cute sloths are and contain very little real information about them. 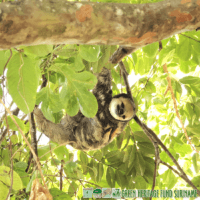 These videos are everywhere, showing sloths being cleaned and hung to dry, the perpetual smiles of the brown and pale-throated sloths, and the big, round eyes of juveniles peering over the buckets they live in. Sloths are infrequently portrayed as the wild animals they are, perpetuating a false, romanticized, or incomplete image of them. As my two-month internship at the Sloth Wellness Center would teach me, sloths are fascinating wild animals that are much more complex than the slow and smiley depictions we see. On my arrival in late May, the center’s long-term occupants were well on their way to approaching adulthood. 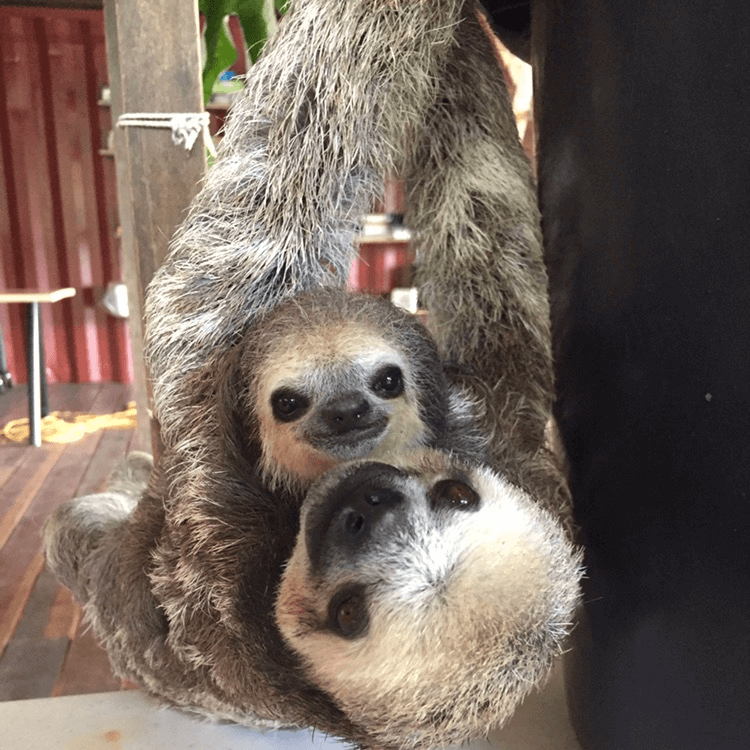 Caring for these animals everyday helped me appreciate the individuality of each animal and the remarkable behavior and nature of sloths. Jinkoe celebrated the one-year anniversary of her stay at the center in the beginning of July. When I saw her for the first time, she was already on her way to the Cecropia tree next to the center. Jinkoe continued to flex her adventurous spirit for the next two months, spending several days in the forest at a time. Sometimes she’d end her trips early if the rain was particularly heavy and she’d crawl back to the center soaking wet. Her excursions would grow longer in duration each time she left, and I believe she’s warming herself up to spend the rest of her life in the forest. 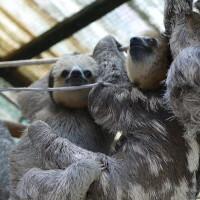 Sara, another young three-fingered sloth that recently was brought under our care, was even more bold than Jinkoe. She’d set off on week-long vacations away from the center, always stopping back to hang out for a day or two. Ostrich also celebrated her one-year anniversary at the center in July and achieved another milestone during my time in Suriname— motherhood (well, almost). Due to her gentle nature, Ostrich was the perfect companion for one of the center’s newest, youngest residents, Angel. In his first few days at the center, Angel was restless and searching for his mother, trying to call to her with a high-pitched whistle. After a few days had passed, Angel would gently hold onto Ostrich while they were both eating. Soon, Angel was completely wrapped around Ostrich, seemingly glued to her with his tight grip. At first we weren’t certain if Ostrich was welcoming the change. However, a couple of weeks after the pair formed, I tried to pick up Angel to weigh him, which prompted a defensive response from Ostrich. To protect her adopted baby, she hissed and raised her claw up to swing at me. So, we figured she must like her hitchhiker at least a little bit. They both would exercise independence and had moments alone during the day, but always seemed to curl up next to each other each night. Avi, the two-fingered sloth, has been at the center for just over half a year and has grown substantially since her arrival. As a nocturnal animal, Avi was asleep during most of the day, except for in the mornings when she would be put outside to relax in the sun. In those moments, she’d be stretching her neck up to get as much sunlight as possible. At night, she would actively crawl all over her jungle gym, stretching her muscles and exploring each corner. 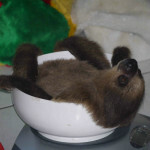 I spent most of my time caring for the baby two-fingered sloth, Balletje (“Little ball”). She was the first sloth I ever saw in person, and she was incredibly small and fragile. 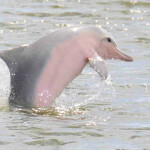 Before she reached us, Balletje was inappropriately kept as someone’s pet. They fed her noodles instead of a proper diet, which made her malnourished and sick. When she began her stay at the center, she was always hungry but still appeared weak and limp, sitting wrapped up in a ball instead of using her arms or legs. She slowly began using her arms to hang on to her stuffed animal “mother,” but would hold her feet together instead of using them to support her weight. However, as she continued to eat a healthy diet, she began to grow stronger, support herself while hanging, and explore. It was really rewarding to be a part of that journey and to watch her demeanor change from sluggish to active and engaged in her surroundings. The center and the surrounding forest provide a wonderful environment for wildlife. 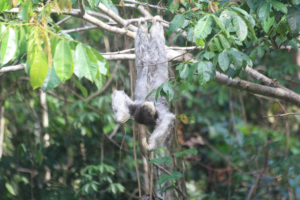 We release many of the adult sloths and anteaters that we rescue in this forest. 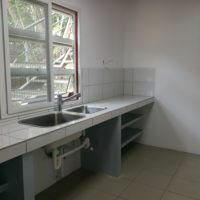 The young animals that grow up in our care are also released into this forest and can still be seen in the area. 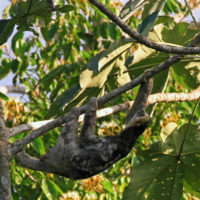 Sloths Anna, 19November, Christine and Little Bear are often spotted lounging in the trees near the center. Other than sloths, the forest is full of remarkable diversity. A troupe of twenty squirrel monkeys frequently move through the trees in the late morning. The low howl of the howler monkey can be heard deep in the forest. Agoutis rustle the piles of fallen leaves in the clearings behind trees and lizards, small and large, move through the low foliage. Bright blue morpho butterflies, hummingbirds, and dragonflies can be seen hovering between flowers and bushes. The silhouettes of toucans, macaws, parakeets and vultures can be seen flying over the canopy in the distance. What seems to be thousands of leaf cutter ants march great distances from their large nests in the forest to the center and back again. The forest is full with the never-ending hum of cicadas, crickets, and frogs. These animals are only a small fraction of the countless lives and rich diversity that populates the forest. This is why protecting the forests of Suriname is so important—so many remarkable lives depend on them. Experiencing nature and wildlife in such an intimate way has given me a new appreciation for wildlife welfare, which I also spent a lot of my time researching for GHFS. Wild animals are often reduced to numbers, with a focus on population size and diversity, considering them as componentsof their ecosystems instead of individual animals. The sloths I spent time with proved to me that individual wild animals have unique experiences and react to their surroundings differently. 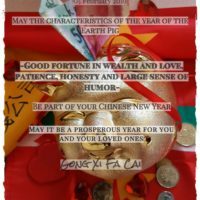 They experience emotional states like fear, satisfaction, and stress, have food preferences, and pursue different activities for enjoyment. I could see this daily—in the interactions between Angel and Ostrich, in Jinkoe’s short temper, in Balletje’s weariness of eating apple and unyielding love for egg whites, in Sara’s unexpected visits back to the center. 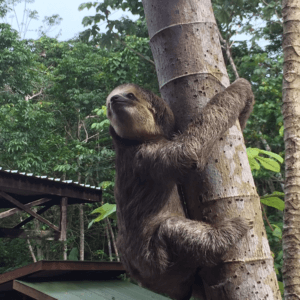 Each sloth taught me about the value of individual wild animals. When considering wildlife and forest protection, it’s important to keep this in mind, since human activities can have a large impact on not just population size, but also individual animal wellbeing. This knowledge is only some of the countless bits of information my two months in Suriname taught me. 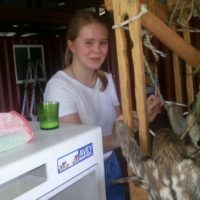 To briefly name a few, I also learned how much I want to pursue wildlife conservation and protection, how sloths might be the best animal evolution ever created, and how only two months is enough time for a place to really feel like home. 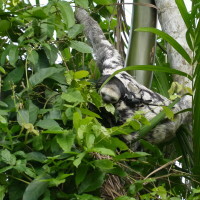 Although my stay ended much too quickly, the center welcomed another guest in my place— a baby three-fingered sloth. Her name is Rory too, and I’m certain she is growing up in the best home possible.